A RANGE of exciting new events are being lined for Wells in 2018. They include a beer and cider festival, a Party in the Park, and a stone carving festival. All are centred on The Bishop’s Barn and have been chosen as the winners of the Into the Barn scheme 2018. The new scheme, which aims to encourage and support new community activity in the heart of the city, offered 10 free opportunities for organisations, groups and individuals to use The Bishop’s Barn, as well as utilising the Recreation Ground and Bandstand. • A week-long professional theatre production of Macbeth by SouthBay Productions. • A free family May Day and Peace celebration featuring speeches and discussions, a peace exhibition, free children’s entertainment, stalls, live acoustic music, art displays and traditional skill demonstrations organised by the Wells Labour Party. • A Party in the Park-style event by Becak Promotions who have worked at Hauser and Wirth including live music and possibly a ceilidh. • The Craft Unit will transform the barn into a craft space for a week with work produced by artists with learning disabilities or who experience marginalisation showcasing work by groups such as Open Storytellers. • Wells Theatre Festival launches in 2018 and will use The Bishop’s Barn as one of the core venues for this new festival in Wells. • Wells City Lions will host a three-day beer and cider festival featuring the very best regional produce with local music. • Wells Stone Carving Festival will present a stone carving festival in the barn and grounds that aims to showcase this traditional craft. A small group of talented stone carvers across the UK will be invited to spend just three days turning a block of stone into a piece of sculptural artwork. The carvers will be given the same size and type of stone and a ‘theme’ that links to the local area and the history of Wells. • International artists Melanie Thompson and Helen Ottaway will host a week-long artists’ residency in the barn exploring the possibilities of a new site-specific community musical performance. The event will also include an illustrated talk and demonstration by Helen following a six-week artists’ residency she has just completed in Sri Lanka and Melanie will perform a solo show she has just premiered in Denmark. • The Jones Collective will host a research and development period on a new theatre production Frank in the barn. This will consist of a group of eight devising theatre-makers, actors, musicians and designers working together to complete development on the show ready for its world premiere and tour in 2019. As well as raising up to £2,600 for The Bishop’s Barn development fund, the scheme should provide some important cultural and community opportunities in Wells. The barn and grounds have a rich history of community endeavour and enterprising activity – in the Seventies Blue School student Gordon Poole began his international programming career in the barn brining Slade, Status Quo, Supertramp and many other groups to the barn. This programme of events also serves to raise awareness of the barn and facilities and test out future events. Wells Recreation Ground Trust is currently in the process of applying to Heritage Lottery Fund for redevelopment and renovation of the barn and grounds and putting forward a business and funding plan demonstrating local partnerships and community commitment to the barn. Wells Recreation Ground Trust would also welcome applications from community groups interested in running event as part of Wells Bandstand Festival in 2018. The charity which convened this programme, Superact, went into liquidation last year so trustees are keen to hear of any music or community groups interested in continuing this venture. August 2018 also marks the 130th anniversary of the celebration event thanking Bishop Lord Arthur Hervey for his gift – giving the Recreation Grounds and Bishop’s Barn to the people of Wells as a space for recreation and amusement. His intention was particularly to provide a community space for those families without access to gardens – trustees would be keen to hear from any groups interested in running an event to mark this anniversary and perhaps recreate some of the original event which included a giant tug-of-war, stalls and games. 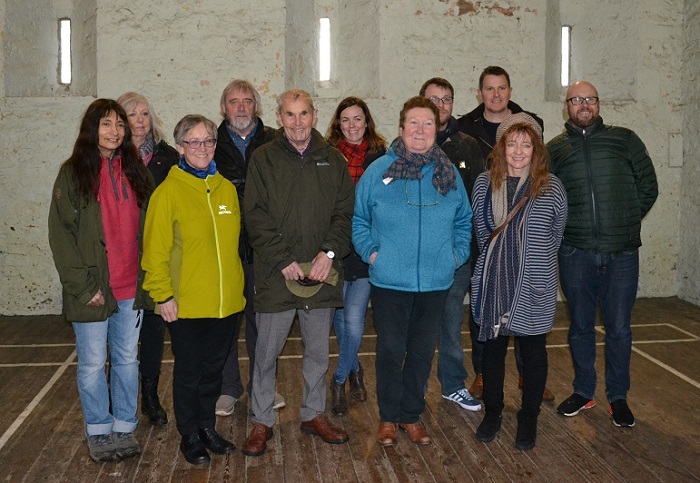 “We have been thrilled with the range of proposals the community has put forward for the barn and grounds in 2018 which highlight just what an important space it is for people to come together,” said Louise Lappin-Cook, project development manager for The Bishop’s Barn.